Again this year, we sponsored the Marysville High School FIRST robotics program. 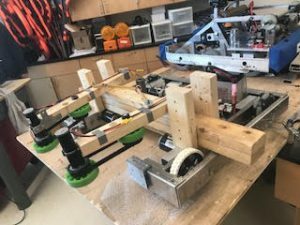 Students learn problem-solving, technical, mechanical, and teamwork skills all while building a robot to specifications defined by the FIRST organization. Check out the animation of this year’s video game-themed competition here. This year’s team had 31 students, and ended the season ranked 161 out of 508 in the state. We really enjoy our time working with the kids each year; watching them learn, work together, and grow keeps us coming back!